For larger systems, we offer these Sequence self-priming pumps with over sized integrated basket strainers. The high efficiency enclosed impellers ensure low cost, high flow performance for many years. 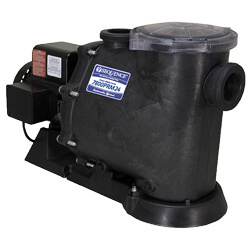 All Sequence Primer series pumps come with motors, 8-foot cord and 115v molded plug and stainless steel hardware. © 2019 Universal Pond Supply, all rights reserved worldwide.